The Los Angeles Kings have sent Sheldon Rempal back to the minor leagues, as Dustin Brown prepares for his return to the lineup. Rempal played in three games for the Kings but was held scoreless, something he hasn’t experienced in the minor league so far. Rempal has recorded at least a point in each of his first four AHL games with the Ontario Reign, and has a total of eight on the season. The 23-year old undrafted forward was signed out of Clarkson University after a breakout season. With John Quenneville sent to the AHL, the New Jersey Devils have recalled Joey Anderson according to Tom Gulitti of NHL.com. Anderson would be making his NHL debut if he gets into a game, but Gulitti believes he’s only up as an insurance policy for Marcus Johansson who missed practice today with an illness. Anderson, a promising forward prospect for the Devils, has five points through his first eight professional games and may end up outplaying his third-round draft status with ease. It doesn’t appear as if the Kings will be without Dustin Brown for too much longer. He’s currently on long-term injured reserve as he works his way back from a broken finger and isn’t eligible to be activated until October 28th at the earliest. While there was some concern he’d be out longer than that, Jon Rosen of LA Kings Insider notes that the winger has begun taking part in team drills that don’t involve contact and that he could be activated for their game on the 28th. The 33-year-old is coming off a career year in 2017-18 that saw him collect 61 points and he could be a boon for a Los Angeles power play that has failed to score so far this season. Although Flames winger Johnny Gaudreau was pulled from Wednesday’s game against Boston by concussion spotters, he is feeling fine which should have him in line to play on Friday night versus Nashville, reports Sportsnet’s Eric Francis (Twitter link). Meanwhile, Francis adds there won’t be any disciplinary action towards Bruins defenseman Charlie McAvoy, who delivered the hit on Gaudreau. While there are teams that are keeping tabs on the potential availability of Toronto RFA William Nylander, don’t count the Oilers among that group. TSN’s Darren Dreger noted in an appearance on TSN 1050 (audio link) that Edmonton GM Peter Chiarelli is not pursuing the winger although they could certainly benefit from some extra scoring pop up front. However, given their limited cap room, finding a deal that would keep them under the Upper Limit would be tricky. The Wild will be without center Matt Hendricks for the next two-to-three weeks, head coach Bruce Boudreau told reporters, including Sarah McLellan of the Minneapolis Star-Tribune (Twitter link). The injury was sustained on Tuesday night against Arizona. Meanwhile, center Joel Eriksson Ek has been ruled out for their next two games while Boudreau is hopeful that winger Marcus Foligno (illness) will be able to travel with the team to Dallas for their game on Friday. 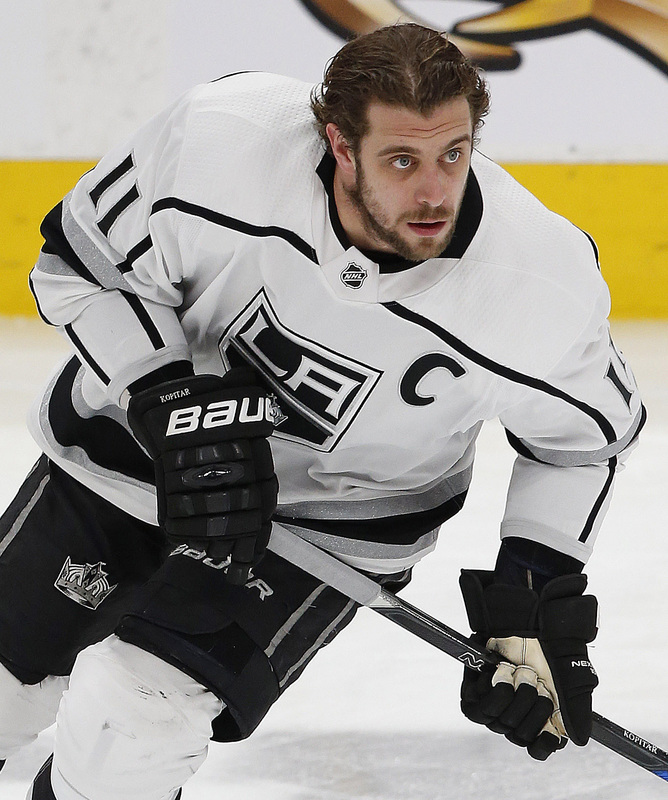 The Los Angeles Kings struggled to create offense from anywhere but Anze Kopitar’s line in the first half of last season, mostly because of the absence of Jeff Carter as the team’s second line center. 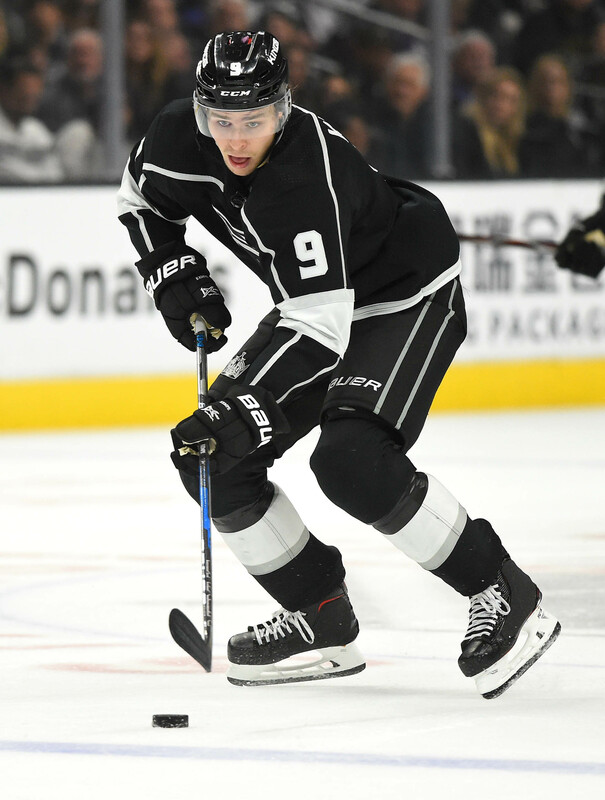 Carter played just 27 games for the Kings, but registered 13 goals and 22 points showing that even in his mid-thirties he’s still a very effective offensive player. This time around they’re hoping for better results, and look healthier coming into training camp. Curtis Zupke of the Los Angeles Times reports that Carter, Dustin Brown, Trevor Lewis and Jake Muzzin are all expected to be ready for training camp in a few weeks, despite dealing with some injuries this summer. If the Kings can squeeze out some of Ilya Kovalchuk’s previous performance and put a healthy Carter over the boards every few shifts, the team could have a much improved offense this season. The New Jersey Devils have hired Ryan Parent as an assistant coach for their AHL affiliate, bringing in the NHL veteran to join Mark Dennehy’s staff. Parent is a veteran of more than 100 NHL contests, and even suited up for 27 playoff contests with the Philadelphia Flyers between 2008-2010. Once a first-round pick by the Nashville Predators, he’ll be able to provide valuable insight to Devils prospects as they come through the system as well as helping to develop the defensemen already in Binghamton. The Arizona Coyotes will have a glut of options for the center position this season, as several newcomers have experience at the position. One of those players, Alex Galchenyuk, wants to prove to his doubters that he can handle the position and according to a conversation with Dave Vest of NHL.com, will be given that chance by head coach Rick Tocchet. Galchenyuk was drafted as a potential first line center by the Montreal Canadiens, but struggled to find much consistency at the position during his time there. After being swapped for Max Domi earlier this offseason, both he and the Coyotes have expressed a desire to see him return to the middle if possible. If he can handle the move back to the middle, the Coyotes find themselves deep at the position with Derek Stepan, Christian Dvorak and Brad Richardson already on the roster and Dylan Strome expected to compete for a full-time role this season. The NHL Draft Lottery is scheduled for this Saturday, but it won’t happen all at once. According to Bob McKenzie of TSN, picks 4-15 are set to be revealed between 6:30-7:00pm CT, while the last three will be unveiled during the first intermission of the Vegas Golden Knights-San Jose Sharks game. Remember that three teams are picked in the draft lottery, and can potentially move up all the way from 15th to 1st. The full odds have the Buffalo Sabres as the most likely to select first overall, and the Florida Panthers the least likely. Though the first pick will get the right to draft Rasmus Dahlin, there are still exceptional players available in the next few slots. Nico Hischier played all season with a left wrist/hand injury according to the New Jersey Devils, who announced that he would not need surgery but won’t be heading to Denmark to take part in the World Championships. Both Hischier and Pavel Zacha were invited, but will be nursing injuries for the next two to four weeks. The pair of young forwards are integral to the Devils progression from playoff surprise to Stanley Cup hopeful, and will be expected to take on an even heavier load in 2018-19. Speaking of injuries, Dustin Brown of the Los Angeles Kings had shoulder surgery today but is expected to be ready for the regular season according to Jonathan Davis of NHL Network. Brown was one of the many Kings players shut out in the postseason, assisting on just one of the team’s three goals in their first round series. The 33-year old nevertheless had an outstanding bounce back campaign that saw him record 28 goals and 61 points (a career-high) in 81 games. The physical forward is under contract for another four seasons, but has turned himself from a buyout candidate to an important piece for the Kings once again. When the Boston Bruins defeated the Toronto Maple Leafs last night, it meant that the conditional fifth-round pick that they sent to Chicago for Tommy Wingels was converted into a fourth-round selection in 2019. That’s a small price to pay for success in the postseason, but will help Chicago (if only slightly) restock their cupboards even more. 7:15 PM: Brown has been suspended for one game, the Department of Player Safety announced (Twitter link). He will sit out Tuesday night against Carolina and return on Thursday versus Pittsburgh. 1:38 PM: The Department of Player Safety announced this afternoon that they will have a hearing today for the Los Angeles Kings Dustin Brown for kneeing Tampa Bay Lightning defenseman Mikhail Sergachev during Saturday nights game. The knee-to-knee hit can be seen here. Brown, who is not new to the Department of Player Safety hearings, had a hearing only last month for cross-checking Pittsburgh Penguins’ Justin Schultz. In that incident, Brown got a surprisingly gently slap on the wrist as he was not suspended despite receiving a five-minute major and a game misconduct for the hit. He was fined $10,000. Brown had been suspended two games 18 months previous to that for a hit against Jason Pominville, then with the Minnesota Wild. While he wasn’t necessarily classified as a repeat offender in his hearing in January, that won’t be the case this time around as a suspension would seem likely. With the Kings fighting to stay in the Western Conference playoff race (currently holding the third spot in the Pacific Division), losing Brown for any amount of time could be crippling. The 33-year-old wing has 16 goals and 38 points. He also has accumulated 52 penalty minutes, the most since he had 66 in the 2013-14 season.